As part of the going back to school tradition, I decided I would start asking the kids what was their favorite part of summer. It goes so fast so I thought it would be fun getting their perspective on it each year. Little-Flower is too young to start this yet, but I asked Turkey-Man yesterday. I briefly reviewed the various things we did this summer. We’d gone to Florida and played at the beach, spent a week at church camp, visited with family from Tennessee, went tubing down a river, spent a day at Cedar Point… there were a lot of things to choose from. His reply was, “Church camp!” My mama pride was spilling over that he would choose church camp over all of those other things. So, I asked him specifically what he liked most about it. His response? 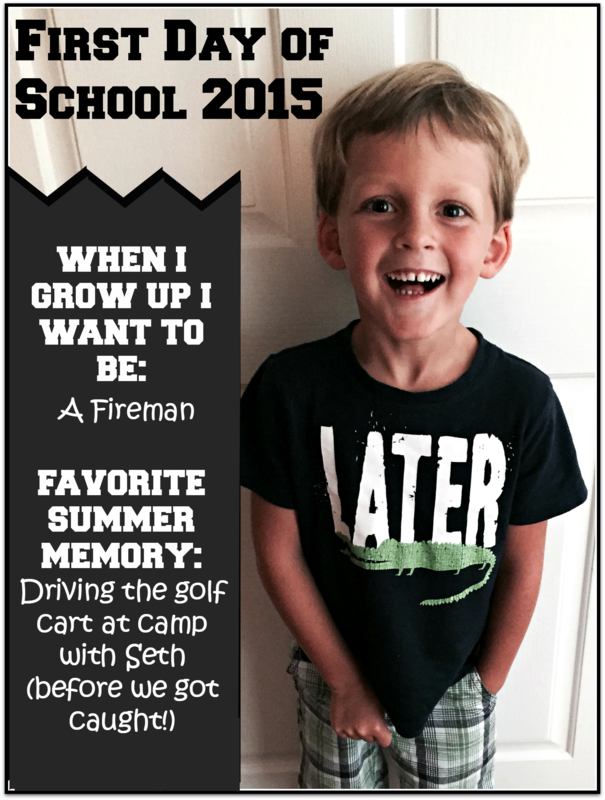 “When Seth and I drove the golf cart!” And, that ended my mama pride moment. He and another 4 year old buddy of his decided to climb into the golf cart at camp and somehow got the thing going. Thankfully, an adult nearby saw it unfolding. He ran over and stopped it before anyone ended up getting hurt. Yes, Turkey-Man’s favorite memory of the summer is the most dangerous thing he did. We are in so much trouble! Next Are We Too Normal?